Bluetooth for iOS, Auto Cutter, and External Power Supply Included. 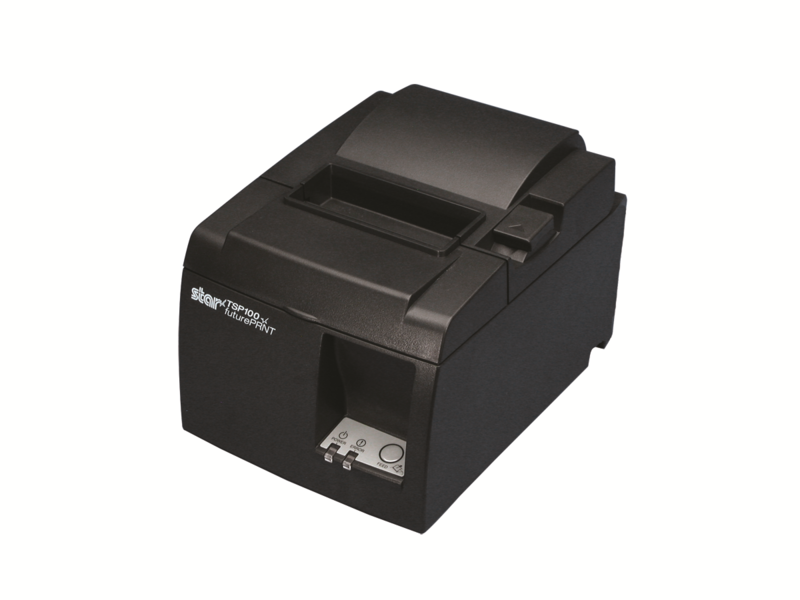 Star Micronics® Direct thermal receipt printer is capable of printing 60 receipts per minute. Thermal cutter is equipped with easy "drop in and print" paper loading, small footprint and reliable guillotine cutter. Media thickness: 3.35 mil, maximum roll diameter: 3.27", maximum label width: 3.15"